Be honest….did you actually read your company’s training manual on the first day? Did you pay attention to the three-hour long boring video? Or did you just pick up a lot along the way, asking questions, engaging, trying, failing, trying again? Now think of someone 20+ years younger than you. The attention span of younger people is often very short. You know the type – you may recognize them by their forehead you are often looking at while they play on their phones. They have grown up multitasking and expecting instantaneous results from their devices. Their focus is kept as long as things are moving ahead. They do not want to be slowed down by the details. Their learning environment should ideally be self-paced, and as interesting as possible to hold their attention. This shift is the challenge for the future of our institutions and organizations and it is the opportunity for Technology Enabled Learning. We have now progressed from a print-based industrial society to a technology based internet society. Physical teachers must compliment the learning experience. They must keep the learner interested, inspired and develop the student’s love of learning. This coming year, more people will enroll in Harvard’s online courses, than have attended the university in its 380-year history. Technology is changing processes rapidly, relying more on systemization and standardization. Machines use brute processing power and access to enormous quantities of data. They do not need to think, or even exercise judgment, as they can process this data so much faster than us. Pilots used to have to memorize many processes and recall them instantly in an emergency and many crashes resulted from the improper recall or execution of the procedure. Machines now coach the pilot through the procedure with embedded rules so that serious mistakes are not made. I am not an expert on learning, but it seems to me that training must change with how the student has changed over time. In addition, it must prepare the student for continuous learning during their career, as machines continue to assume more and more of the workers’ practical expertise, constantly improving productivity. My 88-year-old grandmother is always asking for help on her computer and smartphone. However, when you explain something to her, she writes it down on a piece of paper for future reference. Meanwhile, my four-year-old sister has been an active phone and tablet user since 16 months old. She never writes anything down, and will likely not know what written instructions even are. I am on the cusp of being a millennial and somewhere in the middle. Educated conventionally, but comfortable with technology and use my Moleskine notepad to jog my memory. My grandmother’s generation was principally taught to work with their hands. They had to store within their own brains the instructions to perform their tasks, whether it was carpentry, farming, housework etc. The next generation will usually work with machines, and the machines have enormous digital memory capabilities of their own. The details can be stored in the machines so that the worker can focus on execution through an intuitive interface with the machine. I would think then, that experience with these man/machine interfaces will be important to the future worker to be comfortable and efficient operating the processes. I was told to not touch the buttons, as I may damage the device; however, today, devices are smarter and more foolproof, and my little sister has been pushing buttons since shortly after birth, hoping to make something happen. There is no longer the same fear of technology, and young people are comfortable diving in and trying. They have grown up with these interfaces and can often quickly learn a new device intuitively. Instructions are considered to just really, really get in the way. This change means that Technology Enabled Learning must facilitate the students learning at their own pace, preferably the way the individual best learns. It must interface well with a physical teacher that inspires the learner to focus towards achieving the employment goals they have chosen, or possibly open up new career paths. Finally, the student must efficiently develop the practical expertise needed to perform their occupational processes productively, and continue to expand that productivity during their career. 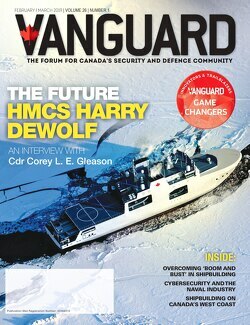 In July 2015, the Commander of the Royal Canadian Navy, Vice-Admiral Norman, approved the “Future Naval Training System (FNTS) Strategy” to continue to refit and modernize Canada’s Naval training to continue to meet the challenges of tomorrow. The strategy focuses on four principles: distributed learning, multi-purpose reconfigurable training, ubiquitous learning and networked training. In essence, the focus will be to emphasize interactivity and extending the classroom. These changes are sweeping around the world and the Canadian Navy is smart to benchmark against other allied countries such as Australia, New Zealand, and the United States, to ensure that we are adopting similar training practices. The learners coming into the system are changing and the systems, tools, and environment need to change with that. I asked Jean-Claude Siew, VP Technology and Simulation at Bluedrop, his opinion on new training technologies, and he commented that: “The new generation of trainees are used to tablets, mobile phones and expect training at their fingertips. The expectation is to have training anywhere anytime. Also, the training must be fully interactive and with instant feedback of pass or fail and with the capability to try and try again, like video games where you have multiple lives. The future of training will need to provide this as well as maximum interactivity and self-paced learning.” Bluedrop is a Canadian provider of blended training solutions from the classroom to virtual environments, located in the Atlantic region. 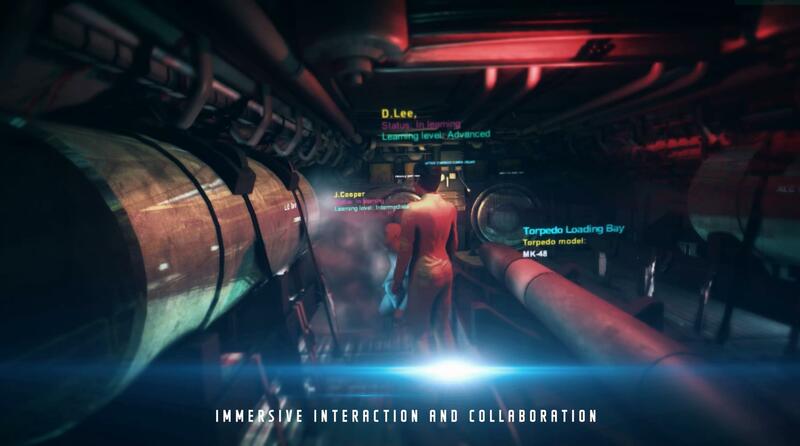 They are currently developing new training solutions using the latest immersive technologies and motion tracking technologies which are brought over from gaming. You also can not forget about Calian, a large Canadian training company that provides the “arms and legs” as I refer to them, to provide the training services. They are well known for the work they provided in providing pre-deployment exercises and training to prepare all Canadian military task force headquarters personnel to deploy into high-intensity combat operations within Kandahar Province, Afghanistan from 2005 – 2011. Calian CEO, Kevin Ford, is no stranger to technology, having spent over 10 years previously as a partner at IBM. Canada’s small tech-enabled learning companies are key in this discussion. 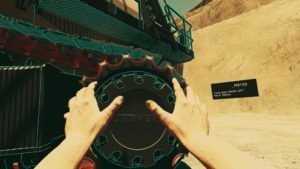 Bluedrop and CALIAN are great examples, but I will go over a few of them in this article, including Quebec-based companies, OVA, and D-BOX Technologies, Victoria-based Racerocks 3D, and from the Atlantic region, Modest Tree and Stevens Solutions. Scott Dewis, CEO of RaceRocks, also shared his thoughts with me on new learning technologies, “RaceRocks believes learning should be entertaining, and aligned with the way people think work and play. To accomplish this goal, we look at our target demographic and use technologies and delivery methods that blend into their daily lives. Our users are learning the critical skills and knowledge components of high consequence tasks through stories. Instead of learning the steps involved in launching a lifeboat by PowerPoint or an operator’s manual, our learners must try and survive a ship fire and complete the launch procedures just before the explosion engulfs them, or maybe they don’t complete it; an even more powerful learning experience. This type of learning leads to better retention and recall. It’s learning within the context of the real situations.” RaceRocks provides simulation technologies to operational teams who do high risk tasks. The company has been prolific in the Technology Enabled Learning delivery to the RCN over the last year and a half and is providing mission specialist training for the Motor Vessel Asterix under Project Resolve. 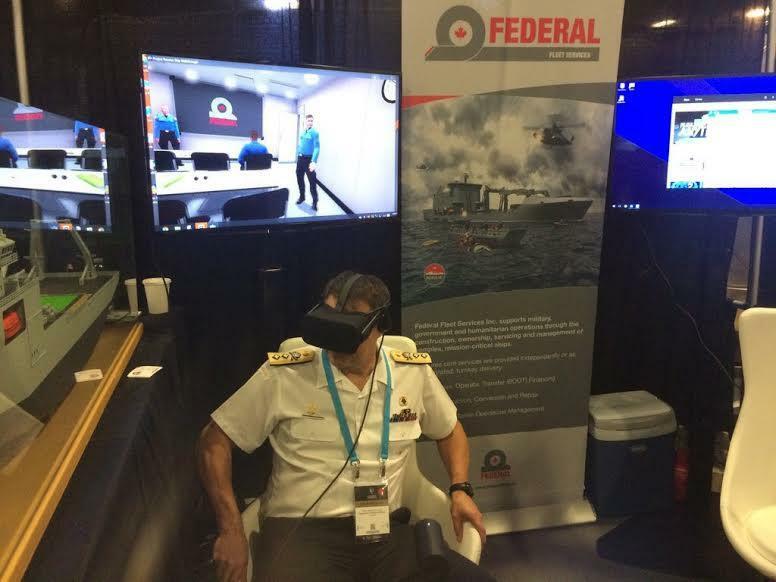 As the first clean slate vessel to be introduced to the navy in the digital learning age, MV Asterix has become a testing ground for Technology Enabled Learning such as Virtual and Augmented reality. 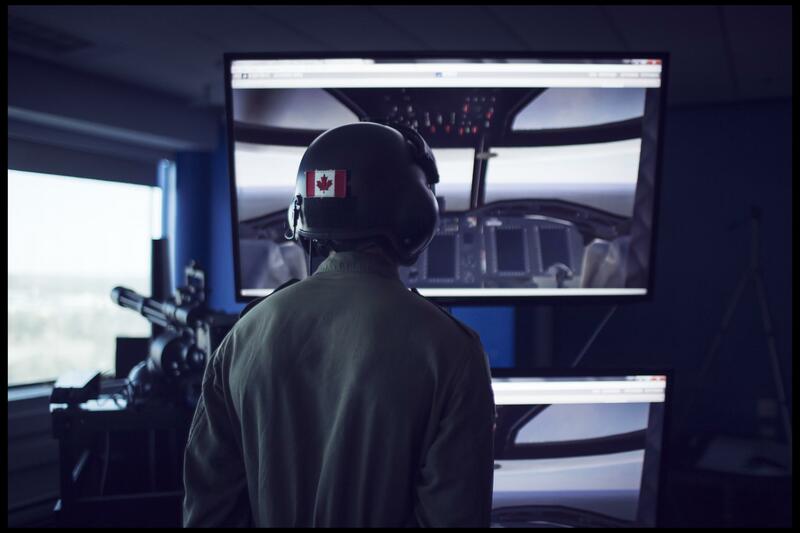 At CANSEC this year, the OMX team and I were able to try out some of these technologies, that were developed in partnership with Modest Tree, an Atlantic based simulation SME. Lastly, Stevens & Solutions, which is also an Atlantic based Aboriginal owned SME, whom I covered in the last issue on Canadian Aboriginal businesses, has just recently completed a set of e-learning modules for Aboriginal employees and mainstream employers for the Indigenous Peoples Assembly of Canada –IPAC (formerly the Congress of Aboriginal Peoples). It is clear that Technology Enabled Learning’s reach will extend to provide opportunities across many areas. Now, take a much larger Canadian training company that comes immediately to mind if you work in the defence sector, CAE. 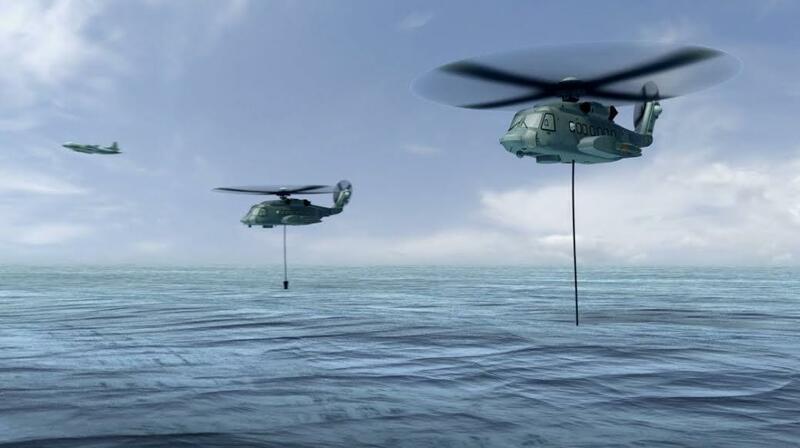 The company employs 8,000 people in more than 160 sites in 35 countries and trains more than 120,000 civil and military crewmembers annually. CAE Vice President/General Manager, Mike Greenley, weighed in on the conversation saying that his company’s approach is to “assess the operational requirements and then design a wide variety of blended solutions integrating a full spectrum of methodologies and simulation-based training devices, from classroom training and computer-aided instruction (CAI) (or instructor-led computer-based training) to a range of training devices, including desktop simulators, part-task trainers, reconfigurable simulation and learning systems, and globally recognized full-mission/full motion simulators.” They can then network all of the devices for collective training and also provide live platform training. It is the combination of the “Live, Virtual, and Constructive simulation-based training” across the full spectrum of classroom, computer-based, virtual simulator-based, and live platform media and then CAEs ability to integrate through its Training Information Management Systems (TIMS) that make their offering comprehensive. A University study conducted in Puerto Rico in 2006 referenced advances in neuroscience that allowed its program to better understand how the brain works. Essentially, our brains reorganize neural pathways based on new experiences. This phenomenon is called neuroplasticity, referring to the changes that occur in the organization of the brain and in particular changes that occur to the location of specific information-processing functions as a result of learning and experience. Environment shapes people’s experiences, thus impacting how people think and process information. The theory is that since new generations are growing up with iPhones instead of Barbies, their thinking patterns have changed immensely over intense and consistent exposure to technological stimulus. It is no secret that I support creative destruction. That I believe disruption is an important part of moving forward as an economy and a society. At the core of all good societies, past and future, is learning. The root of almost everything, not just our Naval training, is learning. Our future depends on it. And it depends on our ability to accept, embrace and drive disruptive technologies to maximize our abilities and opportunities.